Creamer: Glucose syrup solids, vegetable fat, milk protein, emulsifiers, riboflavin, anti-caking agent. Sugar Type: Raw cane sugar and Inulin. Kacip Fatimah is the female version of Tongkat Ali. Kacip Fatimah is a small woody and leafy plant that grows and can be found widely in the shade of forest floors. The leaves are about 20 centimetres long, and they are traditionally used by women who experience a loss of libido. It is also used for enhancing vitality, overcome tiredness and help to assists women in achieving firmer breast and tighten vaginal muscle. Ganoderma is effective in treating gynecological problems such as menstrual cramps, vertigo and menopause disturbances. While Collagen is powerful long-term anti-aging protein. It improves the skin’s elasticity and suppleness, reducing lines and wrinkles. It also has been show to reduce damage to joints and stimulate significant reductions in joint pain, tenderness and swelling. 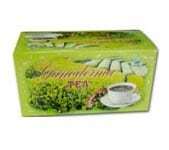 With the combination of Kacip Fatimah, it helps to harmonize the female reproductive sytem. What is the amount of Kacip Fatimah in each sachet? I absolutely love this coffee…and knowing that I’m drinking that something that is good for me makes it even better. This one has Collagen and the Reishi mushroom! Can’t say enough good things about it! 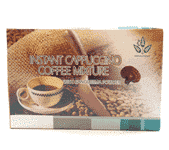 I have been drinking the Instant Coffee Mixture for about a year now and I love the flavor. I do add just a bit of Italian Sweet Cream which makes it, “Oh, so yummy.” Thank you for the great products. 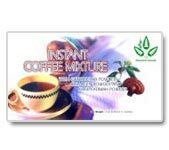 I am a regular user of your Kacip Fatimah coffee with Ganoderma and Collagen. It taste great and helps my body and skin. I have recommended it to my daughters and also my sons girlfriend , they love the taste and what it does for them. i also like the Ganoderma cocoa. Thank you for helping me back in 2000 when I needed help with my body and collagen. I have been drinking the regular Ganoderma coffee for several years, and obviously, love it. I do not get heartburn from this coffee and taste better than any name brand coffee. Earlier this year I joined the club membership and received the sample pack. After sampling the Instant Coffee Mixture, it is now my favorite. I still drink one or two cups of the regular Ganoderma coffee black. However, I admit I am a coffee drinker and I will drink three to five cups of the Coffee Mixture in the evening, and I still sleep very well. I love the taste and the affects it DOES NOT have on me. Thank you for offering all the fantastic products at a reasonable price! I have always drank coffee with no sweetener or milk. I saw the mixture with collagen and coconut milk and was intrigued. I ordered a box and was overwhelmed by the exceptional flavor. I am hooked!! I will be ordering another box immediately so I do not run out!! I drink this coffee every morning to start my day. I don’t like the taste of coffee but I love ganoderma coffee. Coffee for me on a empty stomach makes me sick but this coffe is different. I have energy naturally without the jitters. It taste great. When I get close to running out, I get online to order, so that I never run out. I recommend ganoderma if your looking for healthy coffe with benefits. Love, love, love it. I want to compliment the Ganoderma Kacip Fatimah product. I had talked to one of your representatives in 2005 and explain how my nails were brittle and my hair was thin and my body was missing something. She recommended this product to me and I ordered it. I was pleased after one month how my hair was fuller and in very good shape. My skin seemed much more softer and fuller and my nails were growing back nice. Well I had got away from it because I lost my info and then I got an email from your company and I search my order history and found the magic product that I used and purchased it again. It is working great and believe me I will always be ordering this. It takes place of my coffee which gave me heartburn and acid reflux. Very tasty and great for on the go. I have one first thing in the AM and I take it to work to avoid snacking. I have tried a variety of products over the years and enjoy them all; this one is my current favorites. I recently purchased the Ganoderma Kacip Fatimah Coffee with Collagen. I ordered it after tasting some my mother ordered. I enjoyed it so & decided to order My own personal box. My energy has improved. The taste is awesome! I Love it! I look forward to all my future purchases of this Product. Ganoderma Kacip Fatima Coffee with Collagen has a pleasant taste with no aftertaste. I am trying to lose weight and having a cup of this delicious coffee in the afternoon helps me resist sweets when my energy is low. I also am looking forward to the collagen helping my skin to bounce back as I lose weight. I have drank plain coffee in the afternoon and it does not compare. 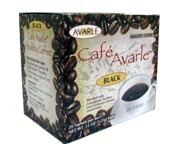 I am delighted with the taste of this spectacular coffee. I received my order the other day so I cannot yet comment on how well it works, but it sure is delicious. I am going to drink two cups a day. I took a thermos full to work with me this morning and I feel great about it. Thank you Ganoderma Coffee. I love the taste of the Ganoderma with collagen, and I feel good about getting a healthy form of coffee along with the necessary collagen that I have and am losing related to age! I also like th Fruta Vida Juice for my daughter because it is difficult to get her to take vitamin tablets, but I can get her to drink this healthy juice and also get in good vitamins at the same time! I can’t say enough of the great benefits of this product. It has changed my whole perception of preventative ways to safeguard our health and wellbeing in a long term. 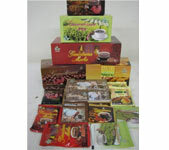 Ganoderma in all its varieties is an excellent product. I have already engaged lots of my family members to experience the same benefits and joy. Thank you. Very tasty and portable. I take it to work for a warm beverage mid morning. I have tried a variety of Ganoderm products over the years and enjoy them all; this one is my current favorite. I love this coffe great flavor! Couldn’t ask for no better! Wow!!! I really love this coffee! It taste great!! My favorite way to drink it is with a little bit of honey. It’s the best. I have used coffee’s with the Ganoderma mushroom extract in it and out of all of them this is the best tasting and surprisingly the best price! Thanks Ganoderma Coffee!! I hope you have plenty in stock. It’s about time for me to reorder. A word on Ganoderma, they are the best customer service. They answer all your questions quickly and the shipping is always speedy and efficient. I love that they use USPS so that you can get shipping to a P.O.Box. This coffee it tastes like cappuccino and is a real treat. I forget when I drink it that I’m doing something healthy for myself. The Kacip Fatima Coffee with Collagen is a real treat. If it was sweetened with Xylitol, it would be my favorite. I love the taste! This is the perfect coffee to start your day off with. Its great tasting with no harsh aftertaste. I highly recommend it. I feel amazing! I have been drinking this coffee for about a month now and am very impressed. I have more energy than I have had in years. I didn’t feel this great from drinking regular coffee EVER! My skin feels and looks better and when I wake up in the morning, I feel like waking up. I drink 1 cup a day of this coffee and 1 cup of the Hoodia coffee. I simply love this new coffee from Ganoderma coffee! It has a smooth, rich taste with creamer and sugar added. The taste is just perfect. This too is another healthy coffee with collagen. I will have to order more of this wonderful coffee beverage. 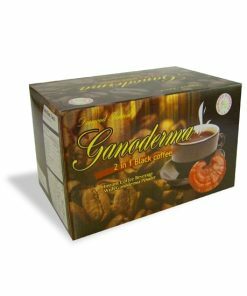 Ganoderma Kacip Fatimah is very tasty – but rather expensive at just under $1 per packet. I notice the non-dairy creamer is listed as the first ingredient, which as I understand, means it is the largest quantity. Can you tell me the make up of the non-dairy creamer? Is it the same as CoffeeMate or the regular commercial brands? or maybe something more healthy. thanks, I will look for your answer. I’m 46 of Caribbean heritage. My breast feels more sentitive and I feel more wet ‘down there’. Which is not what I was really after..LOL. I was after much clearer skin that was wrinkle free and I did see a bit of difference. My Favorite Coffee ! Mild & very enjoyable ! Rather surprising ! Time for another cup. . . .